Cleft Lip and Palate is one among the most common congenital abnormalities of the orofacial region. This condition develops in the 4th Stage of intrauterine development. Many reasons have been cited for development of a cleft lip and palate such as a) Late pregnancy - Increases the risk of the first born to develop a cleft lip and palate. b) Smoking - By the mother during pregnancy has been cited as a reason. c) Lack of the intrinsic shelf force- Prevents the palatal process from fusing with each other leading to the formation of a cleft palate. d) failure of withdrawal of the face- from the chest during embryonic development causes failure of the tuberculum impar to assume an inferior position in the oral cavity . This leads to a physical interference by the between the two palatal processes resulting in the formation of a cleft. Cleft lip is associated with a cleft palate in about 60% of the cases. The most mild form of a cleft is a bifid uvula. According to the extent of the cleft it has been classified by authors such as Veau and Kernhans. A cleft may involve the soft palate only or it may include the hard palate, alveolar process and the upper lip . The cleft in the palate is observed to be in the median plane but as it runs interiorly it assumes a left or right direction in accordance to the line of fusion of the premaxilla with the maxillary process. 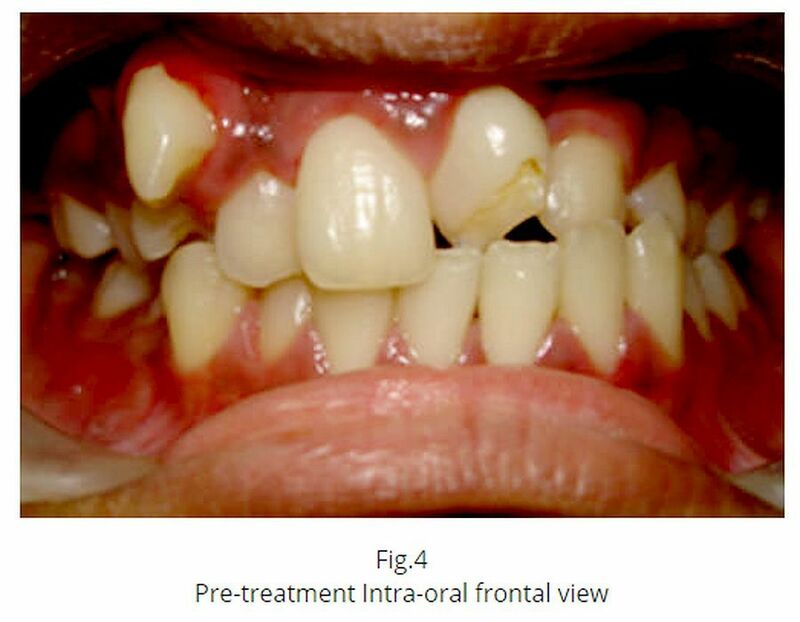 This exhibits itself as an alveolar process defect between the Maxillary Lateral incisor and canine which may also lead to anomalies such as missing or impacted lateral incisors. Effects of a cleft lip and palate range from aesthetics , severe psychological trauma to nutritional disturbances leading to malnutrition, oroantral infections, speech defects etc. The primary objective of early Orthopaedic management of a cleft palate is to reduce the severity of the cleft and to closely adapt the premaxilla to the maxillary process which assists in the surgical management as the severity of the defect is reduced. There has been adequate debate on the early versus the late surgical management of a cleft case . In a majority of cases milliards rule of 10 is followed whereby the patient is to be at least 10 weeks of age with a 10 % Haemoglobin and at least ten pounds in weight. The early management is preferred as this reduces the severity of the defect as it is treated early; it assists in feeding and also prevents the child from having psychological problems in the formative years.